This week my daughter started her first season of soccer. This is a really big change for us because we have spent the last 3 years in the dance studio. My daughter decided it was time for a change and I told her I would always support her in her activities so that is what has led us to the soccer field! Every Saturday we have a game, and the parents are responsible for bringing snacks to the games. I’m up next week and I just found up that a child on our team has a dairy allergy. So I wanted to think of a yummy dairy free treat to bring to the team. I waned to make sure my treat was more than just a bag of chips, I wanted to make something to give them some energy. 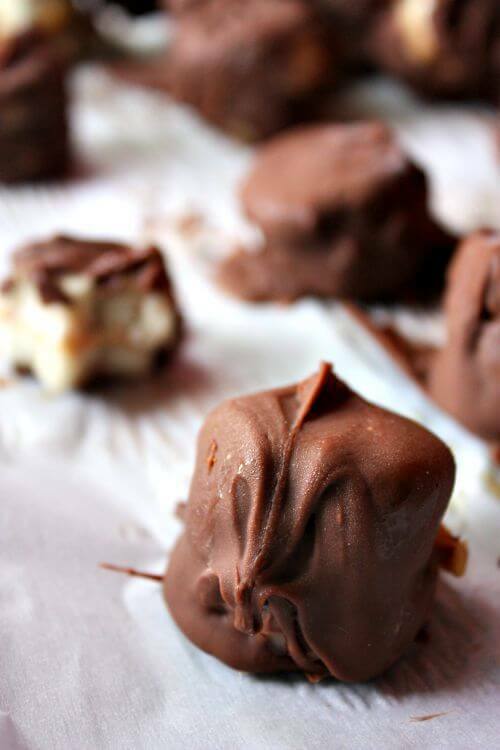 So I thought these Dairy Free Chocolate Peanut Butter Banana Bites would be not only tasty, but good for them! They are super easy to make and the kids are going to love them! Step 1: Slice your bananas. Place a piece of parchment paper on a cookie sheet. 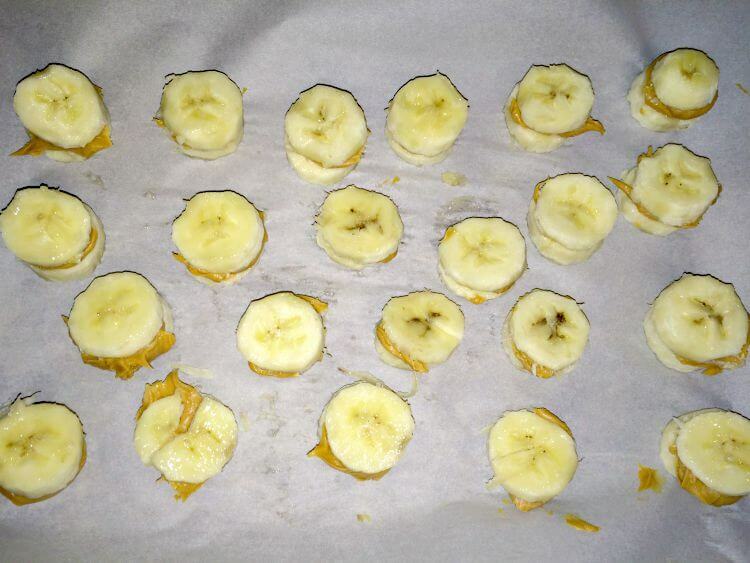 separate banana slices in to pairs and fill the inside with peanut butter to make a little “sandwich”. Step 2: Melt your dark chocolate in a microwave safe bowl. 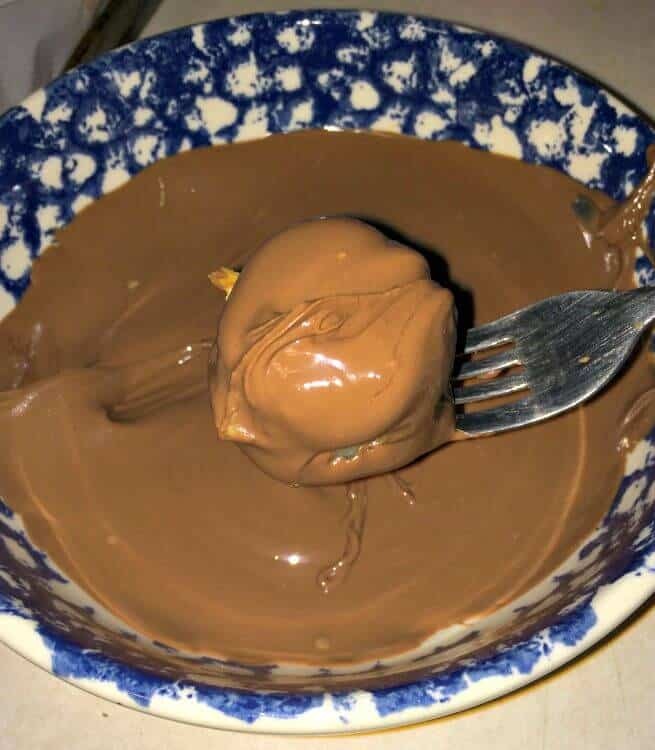 Carefully place your banana bites into the chocolate and then flip to coat all sides. Place your bananas back on the parchment paper. 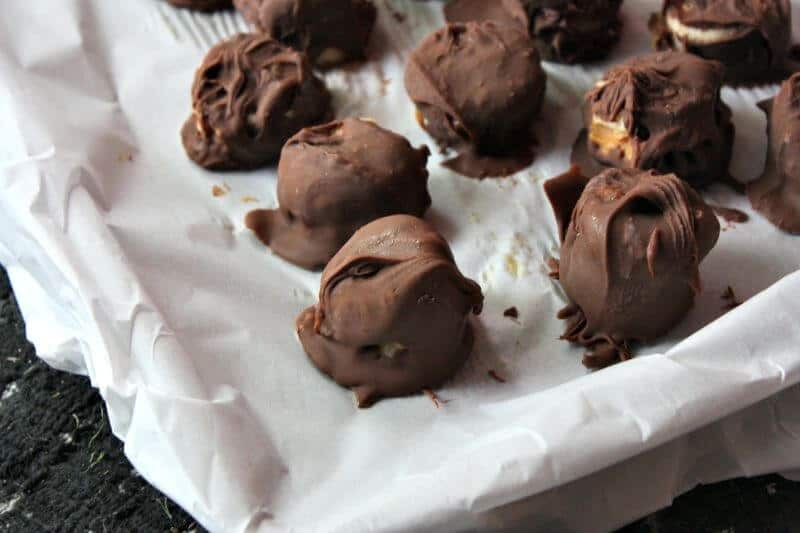 Step 3: Place your Dairy Free Chocolate Peanut Butter Banana Bites into the freezer and let freeze for about 2 hours. When they come out they will be the perfect bite sized frozen treats! 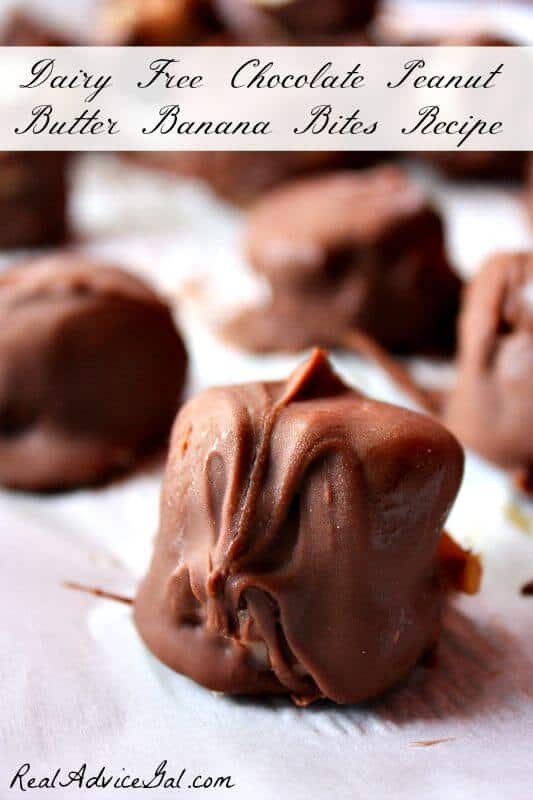 These Dairy Free Chocolate Peanut Butter Banana Bites were a big hit with my daughter and I hope they are a big hit with her team as well!